This week’s blog of the week award goes out to Renee of Beauty Fool, a Singaporean blogging heavyweight with one of the most engaging blogs out there. 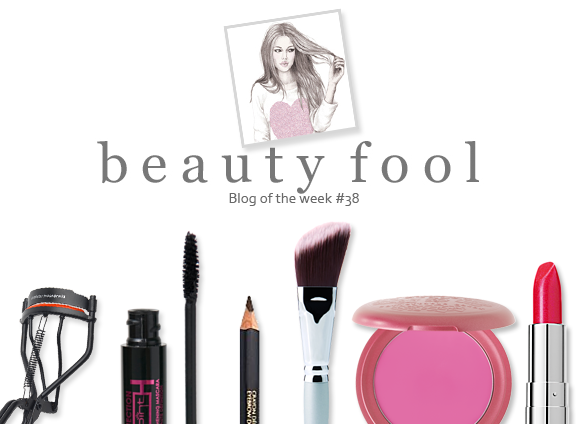 Beauty Fool has pretty much every aspect of beauty information covered, from weekly beauty tips to favourite products, how-tos to insider info. When it comes to beauty news, she is the girl in the know! I really enjoy living vicariously through bloggers when they’re invited to glamorous press launches, and Renee has been to some of the most luxurious events I’ve ever seen. Check out this DKNY Golden Delicious launch – a million dollar flacon with its own security guards? Unreal! As well as Renee’s brilliant beauty content, I especially love the way that she can connect her band of loyal readers through engaging off-topic conversation. Her What Do You Think Of Tattoos post in particular was an entertaining read, and elicited some lengthy and illuminating responses from many readers. You’re never quite sure what new and exciting thing you’re going to experience when you visit Beauty Fool, and long may that continue. Visit Beauty Fool right here, and follow Renee on Twitter here ! This entry was posted on Friday, September 23rd, 2011 at 8:00 am and is filed under Blog of the Week. You can follow any responses to this entry through the RSS 2.0 feed. You can skip to the end and leave a response. Pinging is currently not allowed.